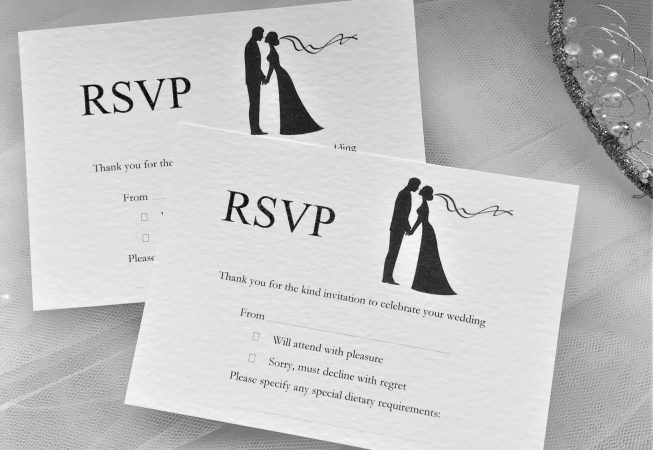 Finally RSVP postcards to match your Finally Wedding Invitations. A striking modern design available on a choice of card, printed in a font style of your choice. 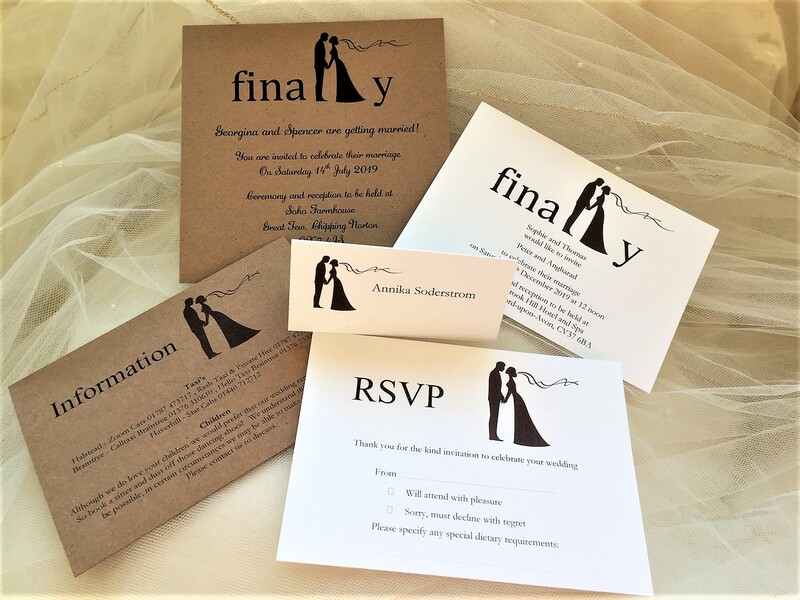 There is a good selection of font styles to choose from and we can print whatever you wish, they are totally personalised. We can add additional questions ie. special dietary requirements, number of guests attending or song requests for the evening reception. A6 postcard size (10.5cm x 14.5cm), return address on one side and the response details on the reverse. 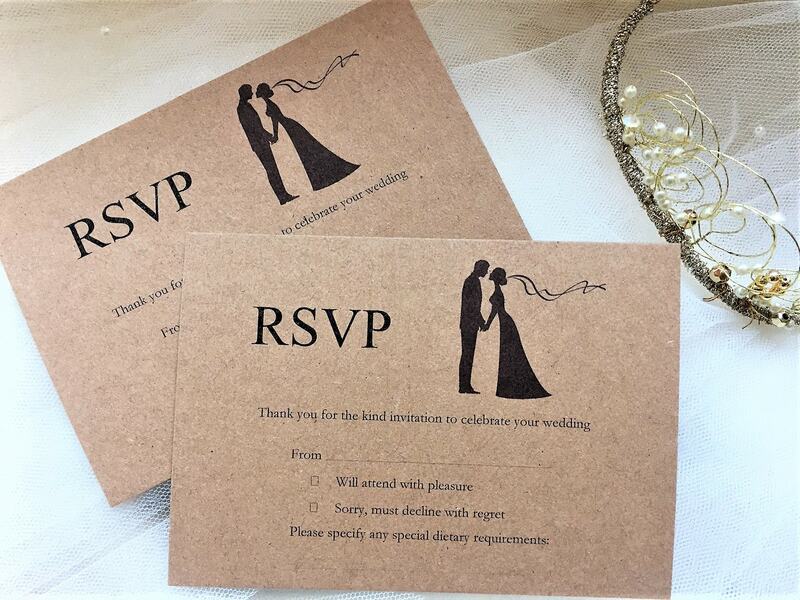 Your guests complete the card, pop a stamp on and post back to you. 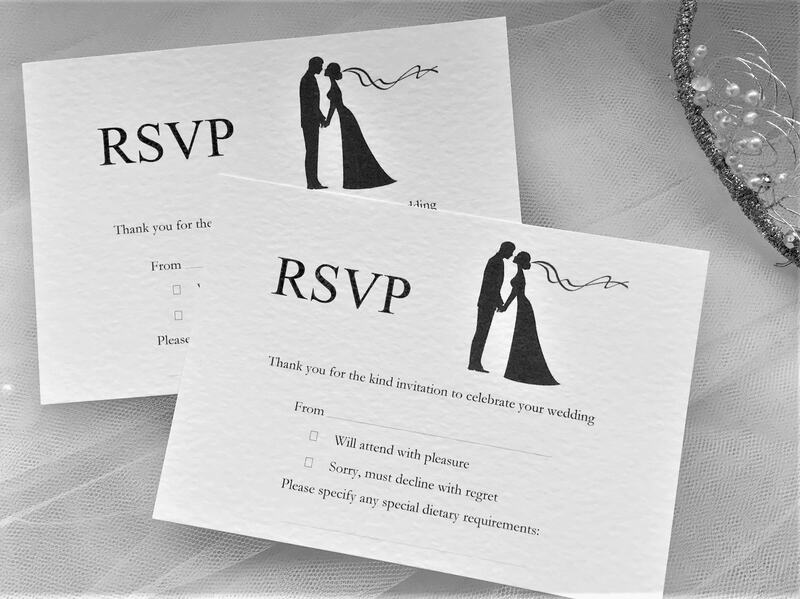 Wedding Invitations, Information Cards, Order of Service, Menus, Place Cards and Table Plan Cards are available in this design.